Climate change might be bringing us closer to the guns-blazing desert apocalypse of Mad Max, but we’re not quite there yet. Unfortunately, it looks like one guy in California didn’t get the memo. 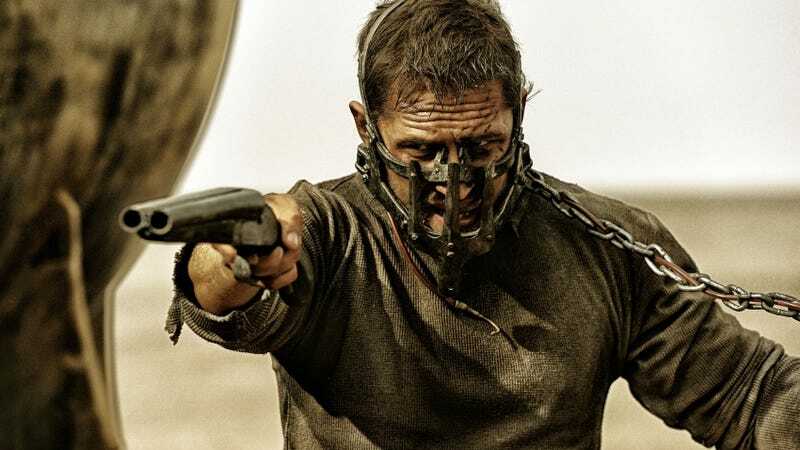 Earlier this week, the San Bernardino Sheriff’s Department arrested a 39-year-old man for deep cosplaying as a character from Mad Max... and by which I mean he was saddled up for the Water Wars with a crap ton of weaponry that would get anyone prepared for the Thunderdome. A deputy noticed Jack Lee Ernest driving around his Quad ATV on a rural highway in Barstow. Ernest was riding around at almost midnight, which isn’t exactly normal, so the deputy decided to pull him over. At first, Ernest tried to flee... and it looks like it was for good reason, as he was carrying a sawed-off shotgun, brass knuckles, and two easily accessible large knifes. According to the sheriff’s report, Ernest told the deputy that “he fashioned himself as ‘Mad Max,’ a reference to a violent movie involving deadly assaults from vehicles.” That might go down as one of the most hilarious police-esque movie descriptions I’ve ever heard in my life. Ernest was arrested for possession of illegal weapons and booked on a $30,000 bail. Also, his ATV was towed.